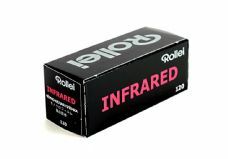 This is the Rollei Infrared film, made by AGFA Gevaert in Belgium. 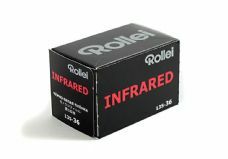 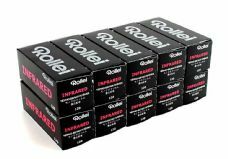 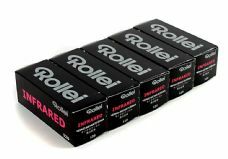 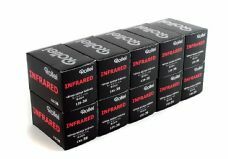 This is now the only true IR film available on the market, unless you count Ilford's SFX, but the Rollei is senstitive further into the IR part of the spectrum. 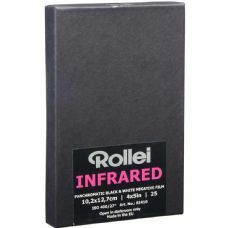 Used with the correct filtration, excellent IR effects may be generated. 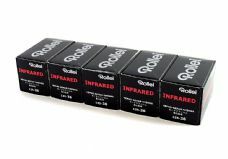 Used without a filter, it will behave like a regular 400ASA black and white film, although it will cut through haze more effectively.